Piano Suite Premier (with a MIDI keyboard) is a complete learn to play piano instruction and practice program. This program provides all the instruction and practice experience needed to develop reading and playing skills to a high level of proficiency. The main screen of Piano Suite has five areas; Theory Thinker, Piano Player, Composer’s Corner, History Happens and Games. Beginners on the piano start with Theory Thinker. The step by step series of tutorials (over 170 learning modules) are interspersed with practice sessions (120 in all) that develop the skills the student is learning in the tutorial. High quality graphics will guide students on the fundamentals such as hand position (see right) and then into the basics of the treble and bass clef – notation, timing and rhythm. Where this starts to get interesting is when students start to practice on a MIDI keyboard. Students set the tempo, listen to the song, and when s/he starts to play, the notes played correctly turn green and a red ‘X” will appear over any wrong notes. Once s/he completes the piece, a performance score is displayed, with very specific feedback on where the student went off the rails, so s/he can immediately go back and practice until they get it right. At any time a student can move off the tutorials in Theory Thinker and go to Piano Player where s/he can select from over 500 songs. What is unique here is that when a student selects a song, s/he then can choose between 5 different levels of playing difficulty for that song, setting the notation to match their current skill level. There are also lots of very useful setting options ( Left hand only, right hand only, both hands, fast or slow tempo etc. ), that help students learn to play the song in manageable chunks. Again, as a student practices, s/he receives the feedback while playing (”red and green notes”) and a complete performance report. The report is automatically saved, which is a useful progress measurement report for educators. Players with some skill can go right into Piano Player and access the 500 + song library and use Theory Thinker tutorials to advance their technique in specific areas. Keep in mind, Theory Thinker has many years of musical theory and skill enhancement learning, within it’s instructional base. “Composer Corner”, the third area of the program, allows students to create and notate their own music. As students are composing the piece, they can hear how it sounds, easily edit, and print it off as sheet music – making their music portable (i.e. play on a real piano) and enabling them to share it with others. Students can also save their composition to Piano Player so they can access the sheet music and/or play it (or hear it played) on Piano Suite at any time. For those interested in the history of music, the “History Happens” area of the program (see right) is a mini encyclopedia of interesting biographies of famous composers and performers who have shaped the history of music and finally there are games specifically designed to help students learn and remember specific skills and knowledge. Adventus’ MusIQ Lab provides manuals for educators offering this program. Here with a long overdue rave about Piano Suite, which I have had in my home for a little over a year now. Unfortunately, one of the most common struggles is to get the kids into proper and consistent sleep patterns, so my playing had pretty well fallen by the wayside. Now, however, I can just put on my headphones and play away. I find that my sight reading is really coming along, too. Best of all, I can use Piano Suite as an incentive for the kids. It’s great to have a constructive activity available that they love. I love this software! It does a lot more than I thought it would. I had no idea I would be able to import sound files and print the scores. This is a great software for the money and I’m really happy with it. I got it primarily so I could print the scores of my compositions but I am thrilled that it does so much more than that.. I have successfully installed my Piano Suite Bundle and everything is running great. I am definitely not a musical genius but your software is so easy to use. I can already play three level one songs! I have been in a teaching situation with people from ages 7-78…Piano Suite is for everyone. Piano Suite can certainly stand alone as a teaching tool for motivated learners. I have also had first hand experience seeing how this program works in a teacher-led environment. I think this is a fantastic way to teach music. By allowing the students to learn and practice on their own through the program, I am able to distribute my time to a larger number of students and give them the help when they really need it . What Piano Suite also allows for, in a group learning situation, is for each student to have a learning path that is customized to their specific music interests, set to their own level of skill and finally allows them to learn at their own pace and in their own time. 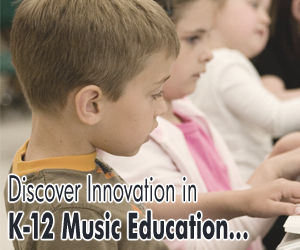 As a public school music teacher I see tremendous potential for this program in the classroom. My goal as a music teacher is to teach students what it is to be able to make sense of written music and to develop this ability to play a musical instrument. A lot of things are going on in the brain when someone is playing the piano and being able to read music; Piano Suite is definitely a stimulus that develops the thinking patterns, which teachers strive to develop. I also very much appreciate the teacher setting in Piano Suite where I can monitor student progress and turn user settings on and off. I have students who, with no previous keyboard experience, learned how to play songs using 2 hands in approximately 10 hours of instruction. I also teach a group of adults who happen to all be affiliated with a local fiddling group. All three adults wanted to learn how to chord along with fiddlers; Piano Suite allowed me to record some of their favorite fiddle tunes into the program, which in turn allowed these students to develop their accompaniment skills for these songs. With my chording instruction, each user can go to this custom library of songs at their convenience and learn to play along. This program has enormous potential for teaching music because it creates a sense of self-motivation in the user. The record of a users’ scores is a real incentive, especially in a group learning setting. Adults tend to be perfectionists and will strive for 100% until it is accomplished. Younger students use the test score as a measure of their abilities as well, and can make judgments about whether or not to move to the next level of songs. I have yet to see a situation where a student is frustrated with negative feedback about their playing given by the program, which is certainly great to see. Instead, there is a real sense of satisfaction in accomplishing a goal. Students who use this program learn music theory as well as independently learn to play the piano. Piano Suite, by allowing the student to vary the tempo and content according to his or her ability, I can have customized individual programs in a group learning situation, in which everyone can learn at their own speed. In Composer’s Corner where you can write your own music, we found the ability to play back the emerging composition, while it was under development a real assist in changing and improving the composition. In terms of the quality of the music available in the program, the program has around 65 pieces of licensed music (within the over 500 songs in the program) that allows you to learn to play such well known songs as Let It Be, Yesterday, You Were Always On My Mind, Take the ‘A” Train, Fur Elise (Beethoven), Day Dream Believer and even Wild Thing, to name a few. I think this program accomplishes more when there is a teacher-led situation because the pace will be faster and the rate of learning and development is really accelerated. As a teacher I help them with the operational aspects of the program, so they can focus solely on keyboarding. Having a teacher is probably beneficial in situations where there are very young children (ages 5-8) or adults who are not confident computer users. Even though I prefer a teacher-led situation, I believe that Piano Suite can teach in an individual situation, where there is a motivated learner. Piano Suite is a true learning experience for all users. Everyone should be so fortunate to have this program in their classroom. Across the world of learning software, Piano Suite is probably one of the most sophisticated, comprehensive and useful learning programs we have seen.